Just minutes after the Supreme Court issued its historic ruling on marriage equality, Fox News began its campaign to portray the decision as a threat to "religious liberty." 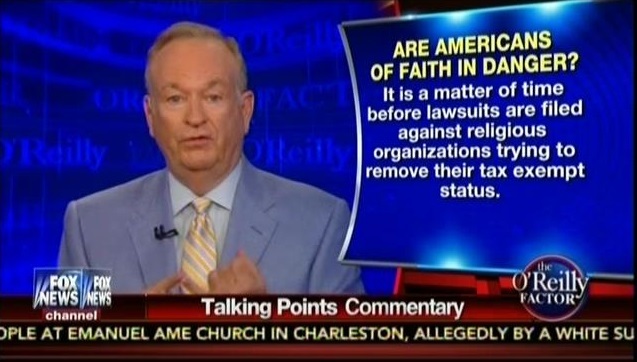 Fox's fear mongering is part of the network's broader religious liberty misinformation campaign, which has helped build support for discriminatory "religious freedom" laws across the country by highlighting horror stories about anti-gay business owners. Fox's reaction to the Obergefell decision is a preview of what we can expect from the network now that marriage equality is the law of the land - using "religious freedom" as their new rallying cry in the fight against LGBT equality.